To jointly celebrate Barbie’s 60th birthday and International Women’s Day, toy company Mattel launched a popup shop and related social media campaign. 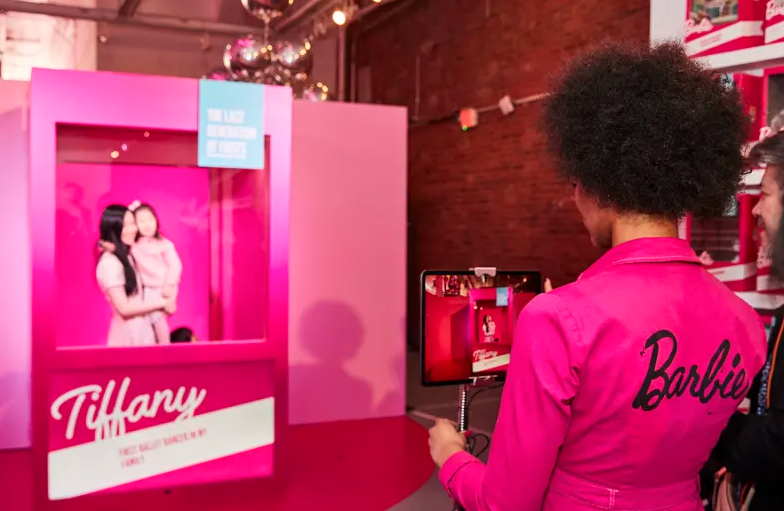 Called “The Last Generation of Firsts,” the activation consisted of a one-day-only Soho popup shop where visitors could have their picture taken in Barbie’s iconic pink box, take a stroll through her Dreamhouse and wall of, so far, unrealized dreams, and receive a free Barbie Fashionista doll. For those who couldn’t make it to the popup, Mattel also ran a customizable social media campaign with the #Barbie60 filter, which was available on Snapchat and Facebook in several different languages. The augmented reality lens could be customized with Barbie stickers, gifs and the user’s dream career. This experiential and social-driven campaign allowed for fans to celebrate this iconic doll and continue to bolster its image as an empowering icon for girls, in spite of its controversies over the years. “For 60 years, Barbie has championed girls, inspired generations to believe through make believe and showed them that they have choices. With more than 200 careers, six runs for president and a trip to the moon before Neil Armstrong, Barbie continues to evolve to be a modern, relevant role model for all ages,” stated Lisa McKnight, Mattel’s general manager and senior vice president of Barbie.